Take down the SIVA threat, stop the Devil Splicers, and become a Lord of Iron. Destiny: Rise of Iron, the latest expansion in the acclaimed shooter from Bungie, is upon us. As we prepare to dive head first into the dangerous world of the Plaguelands, we’ve put together this hub page where you will be able to find all of our coverage of Destiny Year 3, and the story included in it. The information found below will include walkthroughs, raid strategies, strike details, and even guides to Exotic Weapons, Exotic Gear, and the new and improved Gjallarhorn. In the latest Destiny expansion pack, Guardians will team up with Iron Banner curator, Lord Saladin. Heralded as the last of the Iron Lords, Lord Saladin will walk you through your journey as you fight to stop the SIVA threat that has overtaken the Fallen. You’ll need all your wits as you take back Felwinter Peak and face off against the SIVA infested Devil Splicers that now roam the Plaguelands beyond the Cosmodrome. We’ve got all the details below, so keep reading for more information. Find an Artifact that offers features and perks that fit your playstyle. Choose a class and stick with it. This will help you reach max Light Level as quickly as possible, which will keep you from being locked out of any content. 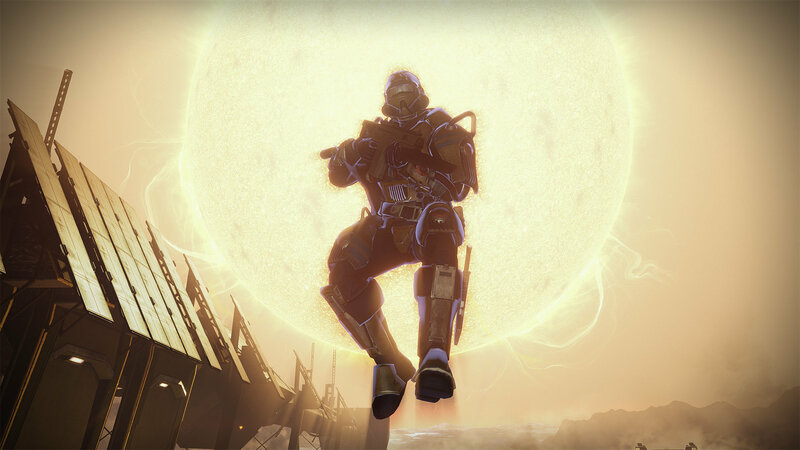 The Fallen that make up the Devil Splicers are much more dangerous than the Taken ever were. Be wary of their new abilities, and take cover often to avoid death. When setting up your subclass and gear, make sure to choose gear and perks that work well together. This will allow you to focus on certain abilities and styles of combat that will make you harder to take down. Explore Felwinter Peak to its fullest. This is the game’s newest social area and you will want to become acquainted with every nook and cranny. An in-depth guide to finding all the Khvostov Weapon Parts, and completing the quest We Found a Rifle. Complete Destiny: Rise of Iron and earn yourself a shiny new 350 Attack Gjallarhorn. Destiny: Rise of Iron is going to be chock full of new and exciting Exotic Weapons and Exotic Gear. We’ll have all the details here as they emerge in the coming weeks, so be sure to keep an eye out for new walkthroughs and guides to help you grow your arsenal of Exotic goodies. There are a few Legendary items up for grabs for anyone who completes one of the new strikes in Rise of Iron. We’ve got all the details of each and every new collectible in Destiny: Rise of Iron. Check out this section for more details about how to find all the Dormant SIVA Clusters. We’ll also have all the details about the new Dead Ghosts in the Rise of Iron expansion, so check back often for more updates. We've got all the details and info you need to find and claim all the Dormant SIVA Clusters hidden throughout Destiny: Rise of Iron. This guide is a constant work in progress, and we will be releasing more information about Destiny: Rise of Iron when it releases tomorrow, September 20. We’ll be covering the game on both Xbox One and PlayStation 4, so players looking to pick up the console exclusive items should check back after release for detailed guides about how to complete the Show of Strength quest and grab the Timeless Tereshkova, a PlayStation 4 exclusive ship available in Destiny: Rise of Iron.